Today, I would like to talk about a very special thing. It’s regarding the definition of Weaboo and Otaku and how people would perceive it, as well as the differences between those two definition. This thing has been talked about all the times and is always a topic to talk about. I decide to hop in the bandwagon and share what I have in mind about this. Weaboo and Otaku are something, while similar in gesture, but very different in meaning. Some say both has the same meaning, while others might say that they are two different things. I would agree with the second one though. 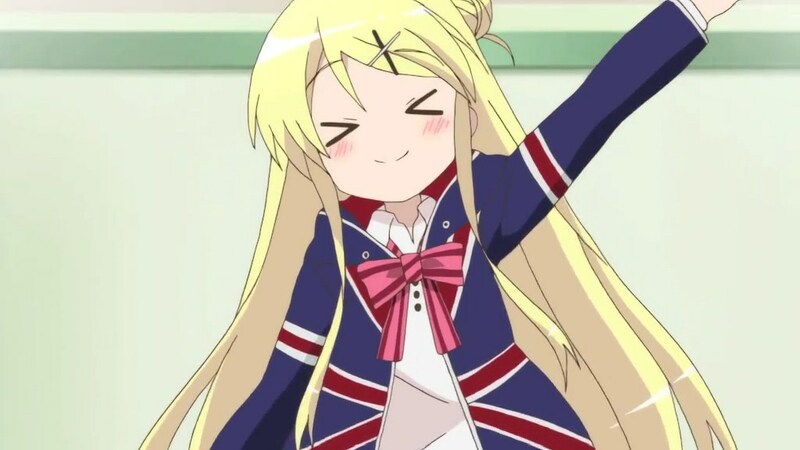 Weaboo, also known as Japanophile, or also commonly called Weebs, is the term used to describe someone, not originating from japan, who is very absorbed into the culture of japan, whether it’s anime or not, they like Japan very much and perhaps, might consider other country obsolete, including their own. They really, really appreciate Japanese culture to the point of worshipping them. Otaku, on the other hand, is a term used to describe someone who obsess over anime or manga to the point of fanatically induced behavior. People from the West initially use the term Geeks instead of Otaku, but now has used it sparingly. There are numerous types of Otakus such as Fujoshi, Wotagei, and amongst many others. Thus, the differences are already set. Weaboo is someone who obsess over Japanese culture, while Otaku is someone who obsess over anime or manga. However, many people kept mixing it up and calls Weaboo an otaku, while calling an otaku weaboo. According to Urbandictionary.com through this article, the term are normally fused together due to their uncanny similiarity with each other, though normal anime fan won’t call themselves Otaku nor Weaboo due to it’s negative connotation. While some might let it pass, some might not accept it, as two things are inherently different in meaning, and possesses negativity in the usage of it. First up is Weaboo. Weaboo is, while some might say it’s a hobby or enthusiast, posseses a certain aura of negativity within it. Why? Sometimes, a Weaboo discard their entire nationality and claims that Japan is the best country in the world, and they even suggested to move out of their own country in favor of Japan. This article from Knowyourmeme.com explains a simple but accurate explanation about Weaboo, that they prefers Japan and all things in Japanese over one’s indigenous culture. They tend to speak with Japanese language, address someone with Japanese honorifics, and would prefer to eat Japanese culinary instead of their native foods. The aspect of being a Weaboo is uncommon on anime, but it’s not like it’s never explored. There are several cases of Weaboo being portrayed in the anime, though it is never as negative as it was in real life. 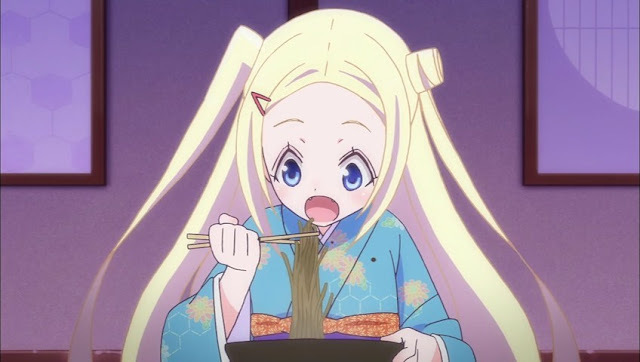 Example of this in anime is Hana N. Fountainstand from the anime Hanayamata. She blatantly declares that she loves Japanese culture from her childhood and she wants be learn how to be one. This is Hana N. Fountainstand. She is a prime example of a Weaboo as she loves all things Japan and prefers to be one. Karen Kujou from the anime Kin-Iro Mosaic is also another example, but a softer one. She likes Japan and wants to be like one but never explicitly stated it. And her regular jacket features an Union-Jack on it, which signifies her strong identity of an British girl and her respect for her native homeland. Otaku is, while the perception of Otaku in other countries [Including mine] is normal, the perception of Japanese towards Otaku is fairly negative. After all, these people are normally introverted person who never socialize themselves. Not all otaku are introverted, but many of them were. There’s also several cases of attack involving otakus, where they attack either an actress due to their overzealousness, or other people, whom they consider violated their favourite series. There was numerous reportage cases of this in the country of Japan during the years between 2000 – 2010, causing civil unrest and panic attacks towards the community of otakus. Of course, not all Otakus are negative, but the public view of it in Japan are already negative to begin with. How Otakus are being portrayed in the anime is not as different as the one found in real life, though it is not to the subject of extremity. Otakus in anime are portrayed normally as an introvert who loves anime and rarely goes out. The fanatic-aspect of the otakus are rarely to never been portrayed in the anime. There are numerous examples of this. The picture above is Shinichi Kano from Outbreak Company. 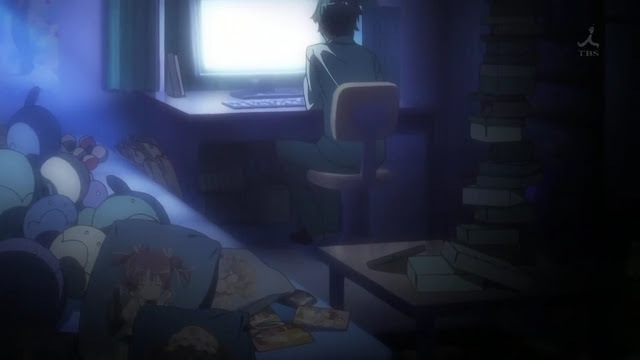 Notice his room is riddled with anime stuff and his room is dark, to symbolize his introvertedness. A common aspect of how an Otaku is portrayed in the Anime is that either they are regularly the main characters of Isekai anime, or they’re a group of people trying to blend in right with the world by either creating a group of people with the same syndrome or might even try to implement how the anime would do things. Now, on to my personal opinion. First and foremost, I would not like it to be called a weaboo. As it damages my natonal identity. Yes, I love Anime, but that doesn’t mean I like Japan that much. I would prefer to use my native language instead of Japanese. Why would I abandon my own language for a language that is not really that common to be used to begin with? I’d rather learn English more as English would allow me to communicate with foreigners, and English is a widely accepted international language. I wouldn’t bring up the history where Japan was also the country which subjugated my country in the past. That’s a thing that was done by people in the past, no reason for me to bring it up again. But, I love my own country. This is where I was born. The language is the first thing that came out of my mouth. As for the second part. I don’t really mind being called an Otaku. However, I’m not introverted in real life. I have a lot of friends, socialize a lot, and is currently finishing my bachelor’s degree on my college, and in that context, I really enjoyed hanging out with my lecturers and professors. 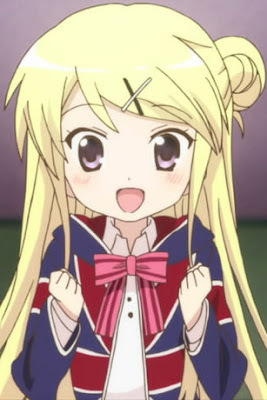 As far as I am concerned, I just choose to be called “Anime enthusiast”, instead of Otaku, and of course, over Weaboo. Thanks for reading this blog post though. I know this has has been brought up so many times in the past or present, but I just want to give my own voice of reason for this topic. who especifically can call you a weeaboo? and who call call you an otaku? It depends on the speaker's perceivingness of you. If they think you are a weaboo, then they can call you as such, and vice versa. But if you think that you are not the one that they call you [Example you are called a weaboo but you think you are an otaku or just an anime enthusiast], you can always argue back using your reason or the ones that i posted above. >I wouldn’t bring up the history where Japan was also the country which subjugated my country in the past. That’s a thing that was done by people in the past, no reason for me to bring it up again.